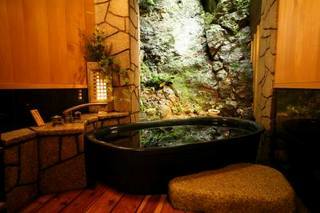 Centrally located in the hot spring town, perfect for touring the public hot springs. Great place to taste the locally brewed beer. Newly remodeled in July 2007. Have a drink at our newly installed bar in your yukata (cotton kimono, traditional Japanese dress supplied by the inn) for the ultimate experience. The weeping willows that line the Otani River allows guests to Kinosaki to fully experience the feel of a traditional Japanese town. You can enjoy this site and more as you tour around the town and try one or all seven of the open-air public hot spring baths. While here, also enjoy trying our 4 different types of locally brewed beers. They go perfect with dinner or as a refreshing drink after the hot springs. Four kinds of beers locally brewed at our brewery. The perfect refreshment for after the baths. Our newly remodeled bar and lounge. 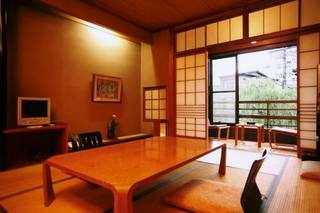 All our guest rooms are Japanese style with A/C(heating/cooling units) and a restroom. Private open-air bath for use with reservation only. 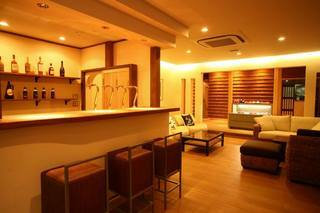 T.V., AC unit, refrigerator, restroom (all rooms); Baths are in 6 of the rooms. 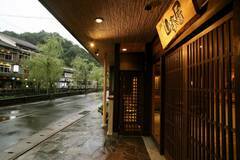 Both of the men's and women's public baths are open-air(outdoor) baths. 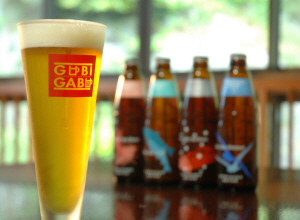 Yamamoto Inn also manages the restaurant and local beer brewery "Gubi Gabu", located in front of Kinosaki train station. We also contract with a local beauty spa where we gladly make appointments for guests to treat themselves to some pampering. Hotel shuttle also available.